A stroll around Aarhus‘ flea markets is a must for those who want to mingle with the locals, see the city’s authentic side, and taste traditional delicacies. It’s also ideal for those just wanting to buy a few souvenirs for cheap. These are Aarhus’ 10 top markets for foodies, bargain hunters, and fashionistas. 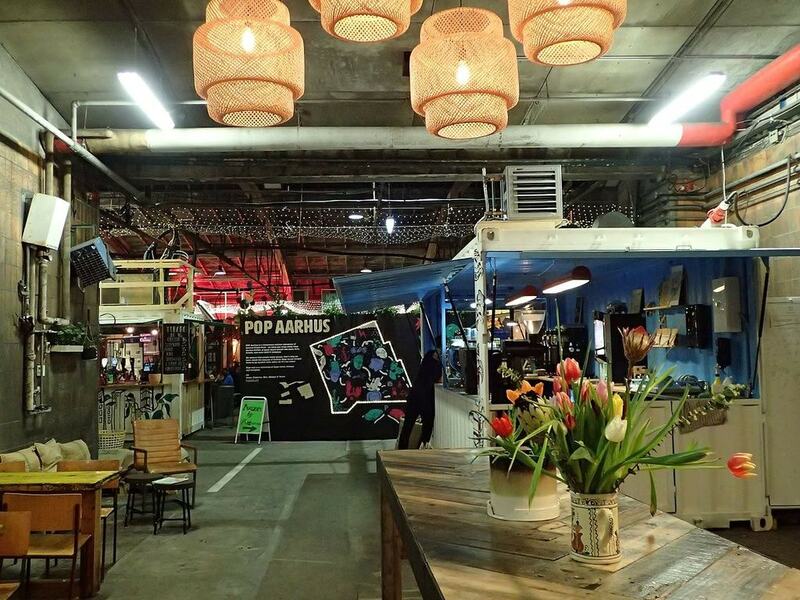 Mega Kup is a second-hand clothes market that takes place in Godsbanen, Aarhus’ hip cultural space. 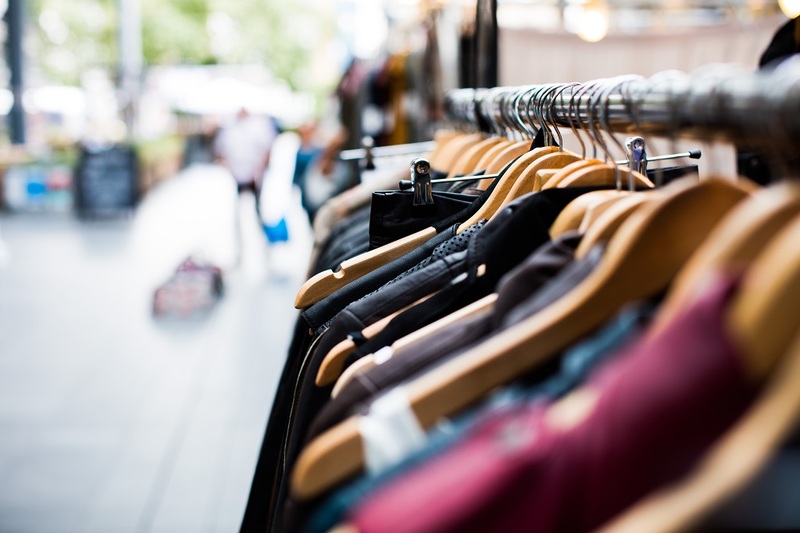 Dozens of stalls with quality garments, accessories and shoes are set up once a month, from 12 pm to 3 pm, in Godsbanen’s huge hall. The admission fee for visitors is 40 DKK (US$6. 41). Second hand clothes, knick-knacks, porcelains and hundreds of other used items can be found at Bagagerumsmarked/Citymarked in Aarhus. 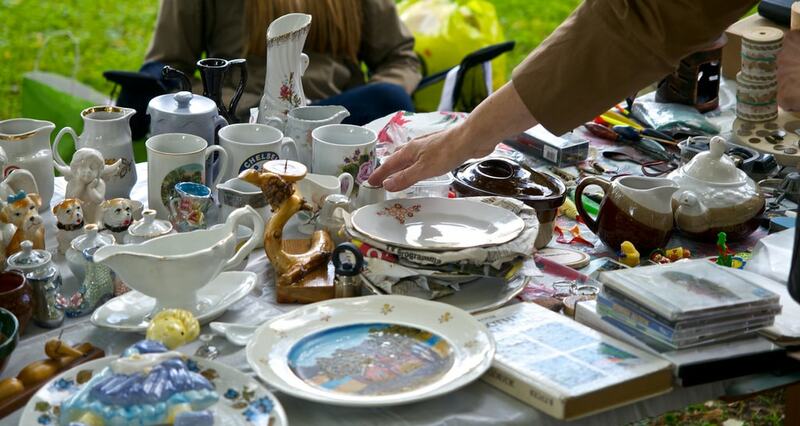 The huge flea market takes place on selected Saturdays, from April to October, at Teatergaden in the heart of the city’s centre. Every weekend, from April to October, Kødbyens Mad & Marked sets up its food stalls offering more than 30 different kinds of delicacies. 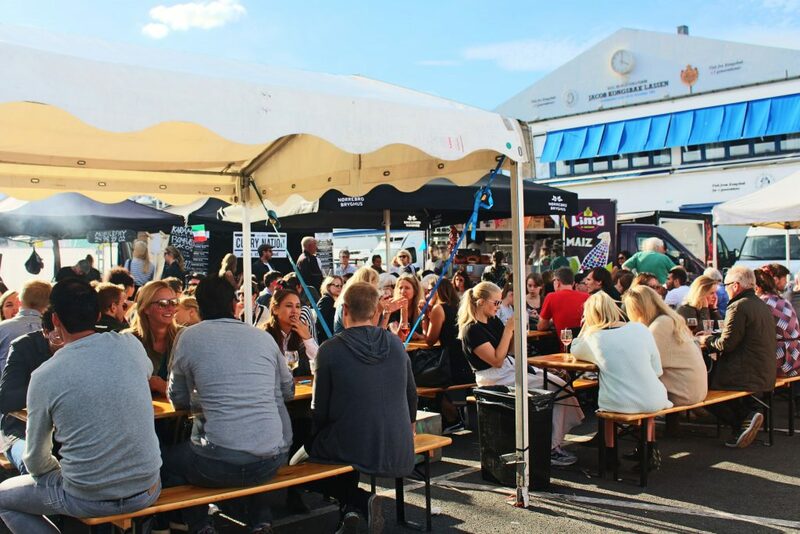 The outdoor food market is one of the most well known in Denmark for its high-quality dishes, as well as the relaxed and cozy atmosphere. Kødbyens Food & Marked also takes place in Copenhagen’s Meatpacking district, and is a top choice for locals on a sunny Saturday. 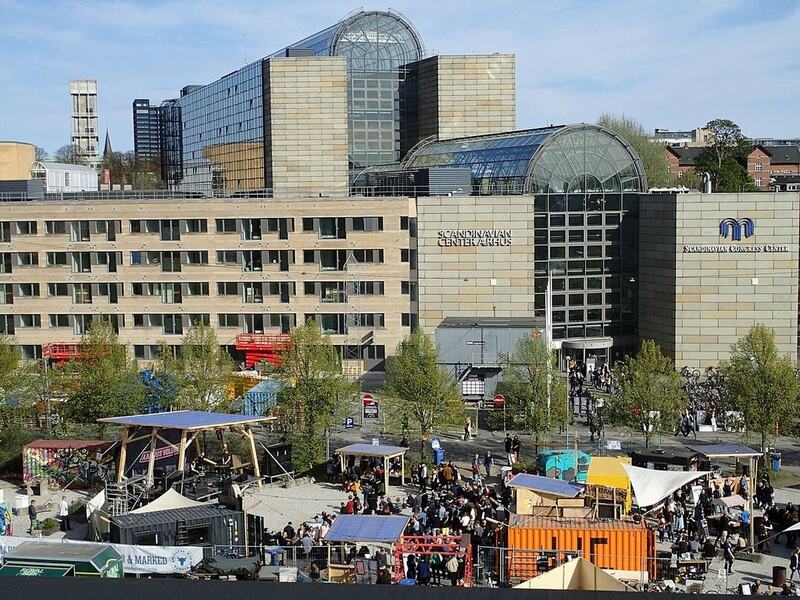 Aarhus Street Food has more than 20 stalls with traditional and international food delicacies. The hip food market is open everyday from morning till night, and is a great place for a quick and cheap bite. 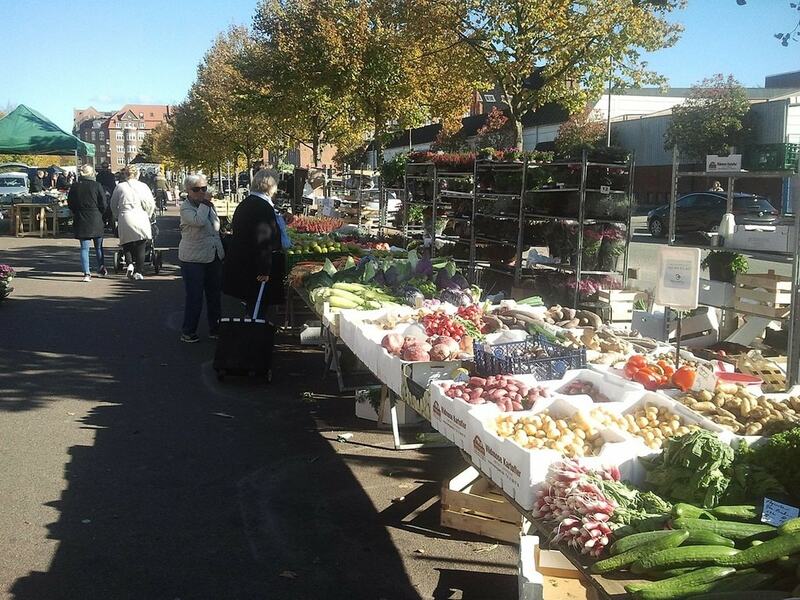 Every Wednesday and Saturday, from 8 am to 2 pm, a food market takes place at the Ingerslev Boulevard in the Frederiksberg neighbourhood. The market – one of Aarhus’ most famous – sells everything from fresh vegetables to local food products, and is usually bustling with activity. 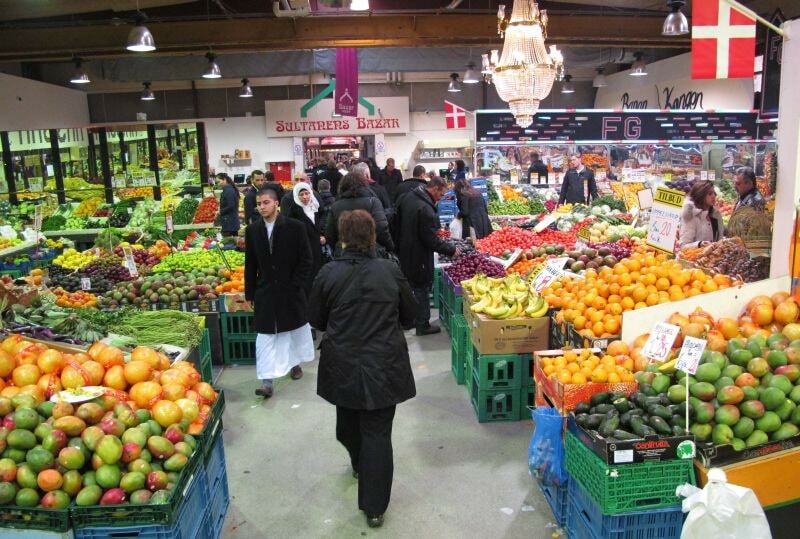 With over 60 stalls, loaded with all kinds of food items, it is no wonder that the Ingerselev market is considered to be one of Denmark’s biggest. 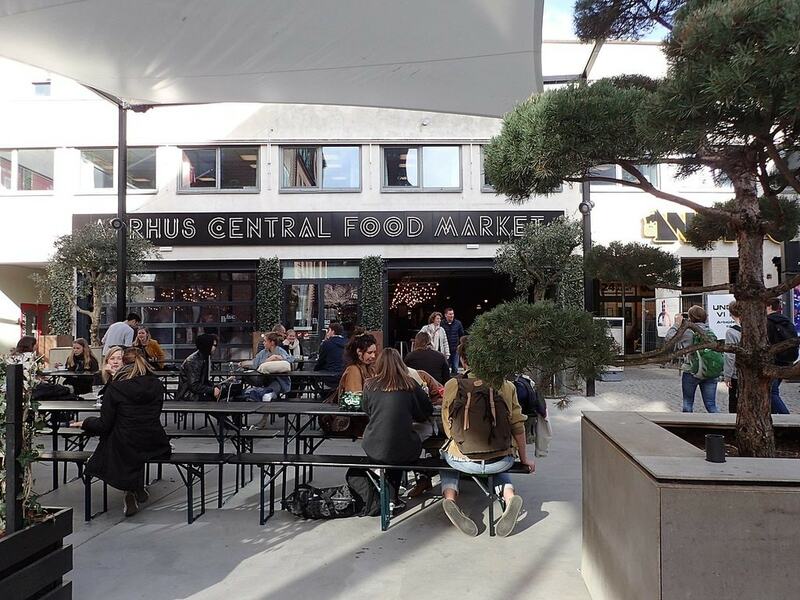 Aarhus Central Food market opened last October, breathing new life in the historic Aarhus Hall that had been empty for 15 years. With more than 20 food stalls, and experienced chefs preparing traditional Danish and international dishes, the Aarhus Central Food market is rightly called the city’s new food mecca. Its central location – at Sankt Knuds Torv square – makes it a great place for a pit stop after a walk in the city centre. Godsbanen is a cultural space where several workshops, performances and other events take place. On selected dates throughout the year, the buildings that were once Denmark’s largest train freight yards are transformed into a huge flea market, hosting dozens of stalls filled with all kinds of goodies. Every Christmas, Godsbanen also hosts a huge Christmas market welcoming hundreds of locals and tourists. So if you’re in town, make sure you stop by! Brugtvare Terminalen is a flea market that has hundreds of second-hand things – from furniture and interior design items to vinyls and books. With over 500 new items landing in the indoor market everyday, it may take you a while to find what you’re looking for. However, this also means you may discover things you don’t really need, but will take anyway to remind you of Denmark. Brugtvare Terminale is open from Wednesday to Sunday, from morning till evening. Foodies should definitely take a stroll at Aarhus’ old boiler factory’s corridors where Bazar Vest is housed. A great variety of fresh vegetables and fruits, freshly baked bread, clothing boutiques and second-hand shops are only some of the things you’ll find in this diverse market. With so many shops, and around 1000 customers every week, Bazar Vest could easily be compared to a shopping mall but with the authenticity of a street market. The Aarhus Traders’ Market at Tangkrogen has been taking place since 1989 and is one of the largest in Denmark. 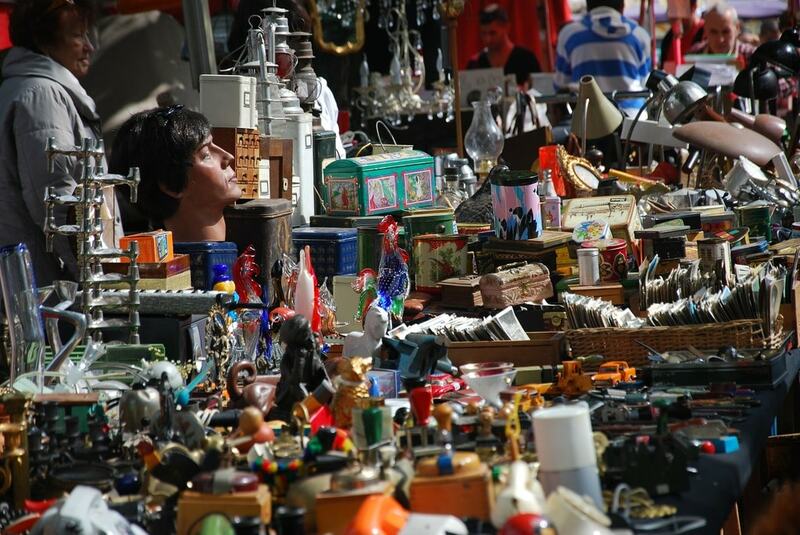 Every year for four days, more than 200 traders set their stalls selling all kinds of stuff. The smell of Danish delicacies, numerous concerts, colourful balloons and other festivities that take place here create an unforgettable atmosphere that shouldn’t be missed.